Net-Tex Just For Scaly Legs Spray is an innovative product designed to eliminate parasites associated with causing scaly legs, while providing effective relief from irritation. 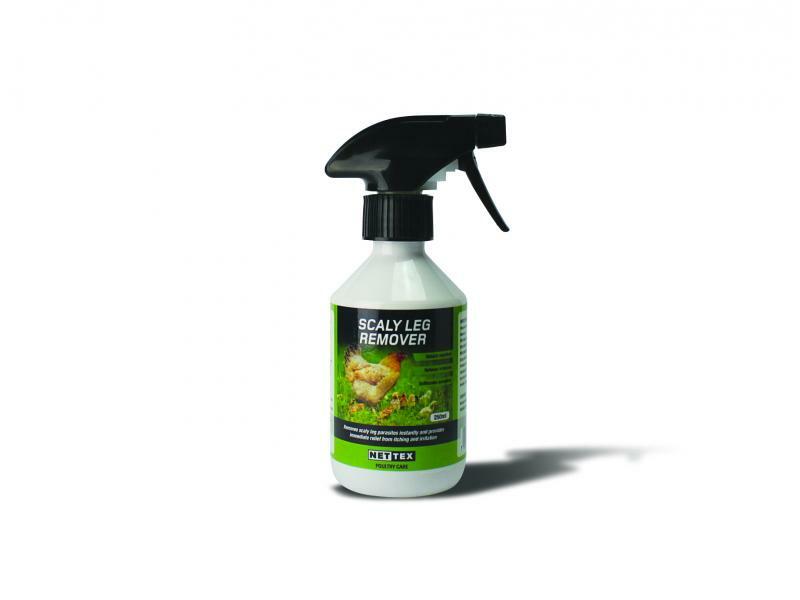 The spray solution contains a mix of natural oils and repellents which protect the legs from further infestation, as well as protecting against aggravation of the affected area. Natural Oils & Repellents, Synergists, Aliphatic Hydrocarbons. Simply spray directly on the leg, feet, comb and wattles to treat the infested areas. Repeat every 5-6 days (to break the egg cycle) until the infestation has gone. Below are some recent questions we've received regarding Net-Tex Just For Scaly Legs on Poultry, including answers from our team. I was wondering if the spray contains permethrin? Please be advised this product does not contain permethrin and Net-Tex only use a mix of natural oils and hydrocarbons within this product to eliminate any infestations of scaly leg parasites.